June 21 2018: I’m glad that Trump has halted the separation of migrant children from their parents – but – what about the ones who have already been taken?? I hope the public outcry/pressure continues until each and every single one is reunited. First, a recap: On April 17, Chiron entered Aries for the first time in (just over) 50 years. Yes, it is a big deal. The ingress was marked by the official release of James Comey’s book, A Higher Loyalty, Barbara Bush’s passing, and an announcement that Mike Pompeo, the head of the CIA, had met with Kim Jong Un, a historic first step toward building a relationship bridge between North Korea and the USA (and by proxy, the world). And now, on to May: Face it, do it, say it; Mercury in Aries is in high gear with Pluto on May 7 (square), Mars on May 12 (square), and Uranus on May 13 (conjunction). Just after the exact contact with Uranus, Mercury begins a short two-week stint in Taurus. The sun’s opposition to Jupiter on May 8 also puts everything on the move and the increase, (motivation is near the top of the list). The transit can be one of uncovering and/or of resourcing more. The evolving situation could lead to a shift of perspective regarding worthiness or value. What’s true, what’s real, what’s best, what’s most lucrative, valuable, or worthy? Sun/Jupiter fills it in in a more substantial way; adds more dimension and depth to the process of seeing, perceiving, relating, understanding, or evaluating. The Taurus new moon on May 15 is accompanied by both Uranus and Mars on important sign changes. Uranus leaves Aries for Taurus, a transit we have not had exposure to since the 1930/40’s. Yes, it is a big deal transit. The Uranus in Taurus years (2018 – 2026) will be critical regarding all survival issues – pertaining not only economics and material matters, but – and more importantly – the survival of life on our precious planet. Uranus is known to shake things up, often unexpectedly or with a jolt. It can destabilize what was previously experienced as firm, fixed, and secure. As the zeitgeist planet, Uranus revolutionizes the social, cultural, and political landscapes. As the great innovator, Uranus is set to break new ground in the areas of science, medicine, and technology. Uranus in Taurus brings us new ways to make money, and to keep ourselves alive. There are so many great inventors and inventions out there right now regarding the cultivation of food, manufacturing, renewal energy, etc. Providing Uranus with an extra kickstart for it’s ingress into Taurus, Mars treks into Aquarius on same day. Mars is usually a six-week transit through a sign, but due to an upcoming retrograde tour (end of June to end of August, the action planet will tenant Aquarius until mid November. Mid August to mid September, Mars will take a short dip back into Capricorn, covering the same ground it does this month, (from May 10 to 15). Look to Mars to keep the action lively regarding all things Aquarius: politics, social trends, activism, weather trends, global warming issues, science & technology, independence and emancipation initiatives. Anything goes when Mars tours Aquarius. It is especially so when it is in dynamic tension to Uranus (May 16). Opportunity abounds, but an element of risk is also in the mix. High stress, the sudden and unexpected, freak accidents, and extremes are also typical of Aquarius. Terrorism is also attributed to the archetype. Mercury and Uranus in Taurus and Mars in Aquarius are a hot combo from May 12 to 16. It could be an exciting, eventful, fast-track few days. It’s not surprising to think there would be some pre-wedding excitement and jitters for all involved. Victoria Day weekend (Canada) launches with Venus entering Cancer on May 19 and the sun entering Gemini on May 20. Prince Harry and Meghan Markle’s wedding (May 19) is sure to be the top news story of the weekend. Book-ending Memorial Day weekend, are Venus in opposition to Saturn on May 25, a call it quits or reach the goal post transit, and a Sagittarius full moon on May 20. Mercury leaves Taurus and treks into Gemini on the same day. Pre the weekend, it is a well-timed wrap up; post the weekend, the stars head immediately onto a next page. 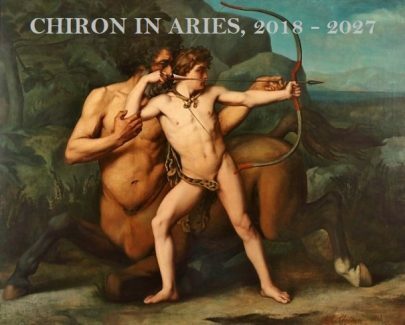 I’m speaking on Chiron (on Saturday May 26 at UAC), the United Astrology Conference, in Chicago (Conference info: https://www.uacastrology.com). If you are attending the conference, please introduce yourself! As I will be travelling at the end of the month, I will not have time to write the June forecasts. However, I am still available to schedule a private astrology or clairvoyant reading for you. Also, stay tuned (or check my website for notices) for my webinar on Uranus in Taurus (coming soon, tba). I’ll be back with July’s forecasts near the end of June. In the meantime, my best to you! If you are born at the start or end of Aries, you’ll feel the fullest effect of Chiron, fresh at it in Aries, or of Uranus on its way out. Both bust up the status quo to set a new reality into play. Mars, your ruler, contributes in a significant way too. Uranus enters Taurus on the morning of the new moon in Taurus May 15. Mars enters Aquarius at the end of the day. May 12 to 16, keep your schedule flexible and stay alert. While a new moon is usually a quiet energy, Uranus, Mars, and Mercury on sign changes and in dynamic tension to one another are sure to thrust the action switch in a sudden and unexpected way. You may be prompted to take a risk. It could be exciting and profitable. Still, caution is advised, especially when driving, handling dangerous equipment or items, or dealing with people on the edge. Uranus in Taurus and the new moon in Taurus can stimulate financial opportunity and/or radically alter your financial status. Assisted by Uranus, you’ll soon discover new capacities and resources. Mars energizes your social life and your physical energy too. (Don’t expect to sleep well or much.) Both are good for a lifestyle overall, for thinking outside of the box, strokes of genius, and creative solutions. They can stir up exciting new ideas, interests, and prospects. You are likely to find yourself consider options or to be fascinated by subjects, people, and activities that are much different than your usual picks. The last two weeks of the month can put you back in touch or rev up your social life. Looking to reinvent yourself? Even if you aren’t planning on it, the stars are. You are about to hit all systems go, perhaps radically so, especially so if are you born April 19 – 22. Something or someone could burst on the scene and/or shake-up your world. May 12 to 16 could see you hit the ground running. The set-up curve could start as early as May 7, 8. Change is inevitable; don’t resist it, get with the program instead. No matter whether the change is desired and thrilling or jarring, you can find yourself on an immediate gain and improvement track. If you don’t see the action out there, there will be plenty going on inside of you. The transits can spark a new mind set or ambition. You’ll feel the full flint-strike impact of Uranus in Taurus, if your birthday is April 19 to 23. If you are born later in the sign, Uranus will get to you next year or some time later. This transit can change your appearance, impact your health, or see you with a completely reinvented lifestyle, career or relationship status. May 18 to the end of the month holds several productive move-along transits. Venus into Cancer, starting May 19, can strengthen bonds with friends, family, colleagues, and clients. This transit is good for feeling your way along. It helps you to enlist more support, to be more expressive when writing or communicating, to absorb and retain information or vitamins more readily. A full moon in Sagittarius (May 29) finishes the month. Along with Mercury in Gemini, it’s a good time to travel, move, or get moving. Feeling in need of more breathing space? Yes, claim more for yourself. Chiron, Uranus, and Mars on the move calls your inner rebel out to play – or out to conquer the day. Spend your time on the people and activities that give you the most bang for your buck and skip the rest. Any way you try to slice it, the marginal simply isn’t enough. Whether its good-bye, hello, or a next chapter, Chiron in Aries can bring a friendship, family involvement, association or community involvement to a new level. Independence initiatives are highly favoured. Are you thinking about going it alone, venturing into a new career trajectory, moving (perhaps across the country) or making some other big lifestyle change? It’s the right time to do it. Mars in Aquarius favours travel, studies, certification, or developing a speciality, new interests, coaching, teaching, networking, and legal undertakings (citizenship matters included.) Chiron in Aries could put someone special in your path. They could take your mind, your heart, or your life someplace you did not anticipate. Ongoingly, Uranus in Taurus gives more substance to potentials. There are times when a dream can come true. Never give up! Stay hopeful, stay creative, stay courageous, stay inspired. If it isn’t meant to hold up, it probably won’t. Chiron in Aries will break down whatever false rationale has kept you hanging on to that which you know is not serving you well enough. Yes, it can be scary to let go of the familiar, (and even scarier if the plug gets pulled on you). This is not a time to build more of the past. Of course, you can use it as a springboard. Chiron may have a “no pain no gain” mandate, but know it is for your greater good. The transit aims to get you better on board, so you can catch a faster train to tomorrow and your new reality. Both Chiron in Aries and Uranus in Taurus are changing the face of the outer world, which in turn will create a direct impact on your life. To keep up, you may have to entertain options or avenues you would have never considered even just a little while ago. Both Chiron in Aries and Uranus in Taurus favour a radical career or lifestyle change. If you’ll apply your courage, initiative, and intuitive wisdom to the task at hand(karmic/actual), you’ll meet with the profitable side of Uranus in Taurus. Starting May 19, Venus in Cancer will shine favour on you. It’s a good transit for attracting, attention getting, and enhancements of all kind. Both Chiron in Aries and Uranus in Taurus (starting May 15) are major game changers. Both are shaping a new world reality. New goals, new needs, new wants; they are now critically shape the course of your individual life and your future. Both are acceleration influences. If one door closes, another will open quite quickly. Chiron in Aries calls upon your maverick self to take the lead. It’s a great time to strike out on your own, to carve out more independence, to develop a niche market, or to take your show on the road in whatever way it fans your inner fire. Career or lifestyle wise, Uranus in Taurus can prompt you to build it taller/in a more substantial way. This is not the time to go through the motions. It must be meaningful, purposeful, and lucrative, or it simply isn’t where you should be. Aim higher. Uranus and Chiron can call you to social or community activism, or to public life. If so, thank you for showing up, for yourself, for us. Look to Mars in Aquarius, starting on May 15 (the same day Uranus advances into Taurus) to put you on the go, perhaps unexpectedly so. May 12 to 16, there may be a battle to face, an argument to have, a cause to fight for or something unexpected to drop and run for. Use caution on the road, etc. Mars and Uranus are accident archetypes. Mars in Aquarius sparks fresh interests, ideas, trends. It will also perk up your social life and perhaps your love life too. A hot new love or passion could burst onto the scene. On another note, you could face stiff competition or an adversary (legal or personal). A challenge or a glory moment may or may not be short lived. Don’t jump to conclusions; try not to race too far ahead of yourself. Enthusiasm and excitement are a great wardrobe look, but rationality and objectivity are the wise one’s way. Try to stay balanced. Once Mars turns retrograde (end of June to end of August), you’ll hit a rethink or a backtrack. Chiron, fresh at it in Aries, calls for you to do battle in some new and critical way. It is your soul that’s driving the bus; that’s forcing you to honor the promise you made to yourself. What promise? To toughen up and keep going. Most importantly, not to buy into victim mentality, no matter how hard the going may be, or what raw deal you feel or think you have gotten out of life so far. Did Uranus run rough shod over you while it toured Aries these past seven years? If so, you are likely to appreciate what Uranus in Taurus, starting May 15, can do for you. Along with more confidence and stamina, the transit can put more worthy choices and more lucrative opportunity in your path. Also, on May 15, Mars enters Aquarius. It’s a good transit for improvements and upgrades of all kinds, including a new job, health regime, or attitude. Learn a new skill or trade. Develop a speciality. Both Uranus and Chiron support to you create a new income or material status. All three are also at work to revolutionize your social life and love life too. The month of May could thrust you into it right from the start of the month. The peak of the action will happen between May 7 to 17. Stay ready for anything goes; seize opportunity, be willing to take a risk, try the new you on for size. On a surface level, Chiron in Aries may not seem all that different than the influence of Uranus in Aries. Both transits are pushing you to think for yourself, to not only hold your own in relationships (social, one on one, primary partnering), but to identify yourself as a separate, distinct, and independent entity; as a force to reckon with. If you haven’t quite got yourself there yet, Chiron will continue to be your advocate/teacher/mentor. No pain no gain can be in the mix. Both Chiron in Aries and Uranus in Taurus are tiling the soil for your new reality, this regarding your social world, for your material status, or a key relationship (business, personal or intimate). Mars in Aquarius, starting on May 15, is also an acceleration influence. Expect to hit full tilt from May 12 to 16 especially (even earlier) as Mercury, Mars and Uranus strike flint with each other. The stars keep the action going through the end of the month. In fact, the whole month is on full steam ahead. Dive in with every ounce you have, but also play it smart. Once Mars in Aquarius turns retrograde (from the end of June to the end of August), it will be time to pull back, have a rethink, and/or dive into something else. Mars and Pluto have recently completed a two-year mission and have also shoved-off on their next two-year nail it down project. Along with the recent advance of Chiron into Aries, the stars can prompt the feeling that you have served your time, that it is time to cut loose and to move on to other things. On the other hand, you may have finally reached the goal or status that you have been working for. Either way, a next living with yourself, and build it better chapter begins now. This includes all base-line priorities – home, real estate transactions, family, independence initiatives, entrepreneur options, personal reinvention, etc. Reconciling with the past or severing ties from it can also be part of the new mandate. Chiron in Aries puts added priority on upgrades and improvements, especially regarding your every day needs. A new job, training program, or speciality could prove a major step in the right direction. Health can become more of a priority too. Uranus in Taurus, starting May 15, calls for you to step up to the plate and to reinvent the way you connect to the world around you – and/or to a special one or few. A new social, public, or financial status or lifestyle is calling. Along with Mars in Aquarius, which also launches on May 15, radical change can be in the works (planned or sprung on you). May 12 to 16, Mercury, Mars, and Uranus keep on a lively and fast action track. Due to its retrograde cycle (end of June through end of August) Mars will give you extended time to figure out your next best moves. More of the same? No way. Chiron in Aries (already begun), Uranus in Taurus (starting May 15), and Mars in Aquarius (also starting May 15) keep you itching for more breathing space. A new mindset, fresh interest, or catch the wave opportunity can see you hit the ground running. Uranus in Taurus favours a new process, job, creative solution, lifestyle, entrepreneur venture, alternative therapy, or healing modality. Don’t hesitate to spend, invest, or risk to give yourself the best opportunity and best quality that’s available. Chiron in Aries, the maverick archetype, keeps you a good furlong ahead of the rest. When it comes to calling the shots on your personal life, love life, health, or career, it’s not the time to coast. You may you have to fight harder/to warrior up to maintain your number one or front-runner profile. Rely on your instincts. When in a quandary, give it more time. A new trend can hold great appeal. Mars in Aquarius can rev up your social life. You could strike flint on something fresh and new. Mars keeps your personal brand of genius on the live-action feed. The transit can open your mind to possibilities, avenues, or involvements that previously held zero interest for you, that you weren’t willing to consider even a short time ago. May 12 to 16, Mercury, Mars, and Uranus keep it edgy and/or exciting. The last two weeks of the month keep life on the roll along. The month ends on a full moon in Sagittarius on May 29. It may be time to move – or move again. A new-you has been a long time in the works. Chiron’s trek through Aries draws more attention to how far you have come and how much farther there is to go. You are still waging the battle for that goal, i.e. a better life, one that includes more freedom and independence. (It’s one that doesn’t have an end in sight). Uranus in Taurus, starting May 15, can place you at the start of seeing more tangible reward for your effort or struggle. Uranus in Taurus can tug on your heart in some new way, perhaps to do with a lover, a child, or the prospect of a cherished goal that is shaping up into a reality. Uranus in Taurus favours a new career or creative track. As such it is good transit for entrepreneur undertakings or artistic exploration. A lifestyle change (perhaps even a radical one), perhaps prompted by your health or material status, can be in the works too. Mars enters Aquarius on the new moon May 15, and the same day Uranus treks into Taurus. The two form an exact square on May 15. Additionally, Mercury is on the move with Pluto (square May 7), Mars (square Mars May 12), and Uranus (May 13, the day Mercury treks out of Aries and into Taurus). May 12 to 16 is the action peak of the month. Things can be on the rev up in the week prior. Expect to hit an acceleration track. These dates can produce an event (public, professional, personal, milestone), or an eventful go – perhaps unexpectedly so. Gemini month, starting May 20, keeps you and life well mobilized through end of the month. Uranus, your ruler, and Mars are on the move on the same day, May 15. Uranus explores Taurus through mid November. By next year, Uranus will be firmly planted in this earth sign, to stay until 2025. Mars is typically a short run transit. It usually tenants a sign over a six-week period, but due to its upcoming retrograde which happens from the end of June through the end of August, Mars will stay in Aquarius from May 15 to November 15. (It will make a four-week revisit of Capricorn mid August to mid September). Both transits can thrust you into something fresh, new and/or completely different than you were assumed was shaping up or that you have been planning. Both are great for exploring a new way of being, relating, communicating, or creating. Something or someone unexpected can set wheels in motion. Uranus and Mars are acceleration influences, so expect to get a much faster move-on, especially mid month when Mars, Uranus, and Mercury form several strike-flint aspects. Challenge, expense, risk, and opportunity is in the mix. Change can occur seemingly overnight, but the reality is that it has been long in the works. You could find yourself on a radical departure, cut to the chase, or hit the ground running track. There can be a separation or severing of ties, a goodbye or a hello of significance. No matter what life delivers next, you can’t back down from it. It is likely you don’t want to anyway. Venus in Gemini, through May 19, and the sun in Gemini, starting May 20, help you to make good inroads, to articulate/communicate, and to mobilize yourself. Preceding Memorial Day long weekend, May 24, 25 can bring you to an end or a wrap-up. Mercury into Gemini and the full moon in Sagittarius on May 29 set you onto something fresh, more, or next. Fresh into Aries, Chiron’s transit through the warrior sign will see you uncover/experience a new side of yourself. Along the way, you’ll discover capacities and resources that you may not have fully recognized make up such a big part of who you are. Thanks to Uranus’ transit through Aries, you are already in the process of doing so. As Uranus makes its way through Taurus, your self discovery and personal reinvention process will take on more shape and scope. Your mind stays busy, your daily get go will too. New subjects and people provide good stimulus. Thinking patterns change. Interests change too. You can experience through new eyes, a new mindset, a new self dialogue, a new heart. The way you communicate and connect evolves too. In the coming weeks and months, you’ll entertain possibilities, options, and involvements that would not have peaked your interest in only a short while ago. Uranus can even put the exceptional in your path. Along with Uranus on the move, Mars in Aquarius, starting May 15, sets you up to make an important personal breakthrough. Mars will continue to stimulate action and keep a good buzz going strong through the rest of the year. By mid November, Mars will leave Aquarius and hit full steam ahead in Pisces. Between now and then, experiment, explore, and line up your ducks. Mid month is the action peak of the month, thanks to Mercury, Mars, and Uranus. Anything goes. Hitting the sweet spot, Venus in Cancer, starting May 19, boosts your creativity, social and love life prospects and sense of reward. Gemini month, starting May 19, is also good for getting around and for setting wheels in motion.